Looking for a way to count your blessings? I found an old candy jar at a thrift store that was perfect for my blessings jar. It took only a few seconds to attach the Blessings decal to the jar and voila! Our jar was finished! When God answers our prayers, when God provides for use unexpectedly, or when we just reflect on what we have, we write them on scraps of paper and put them in the jar. Then, on January 1st, we read all the scraps of paper out loud. It is an awesome way to begin each year and it also helps us to focus daily on our blessings. 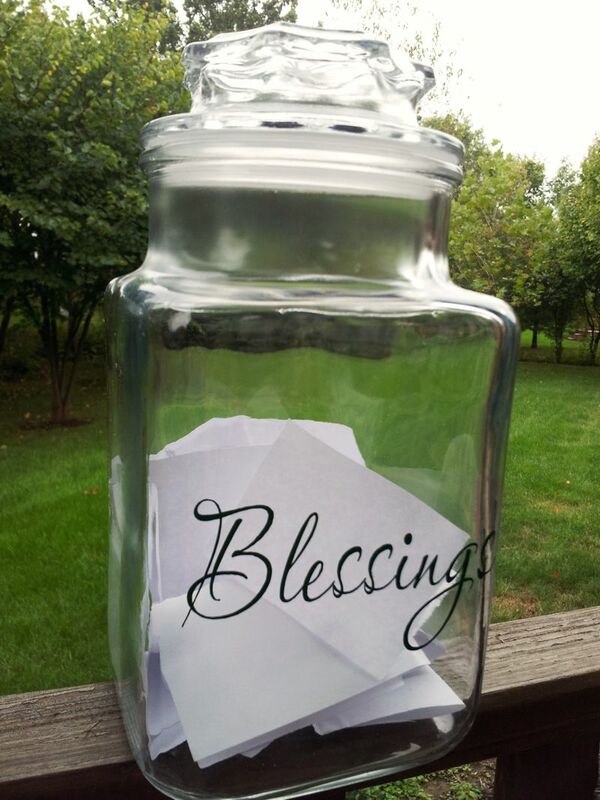 The blessings decal jar would make a wonderful gift and is so inexpensive! Keep an eye out for jars at the Goodwill store, Salvation army or garage sales. 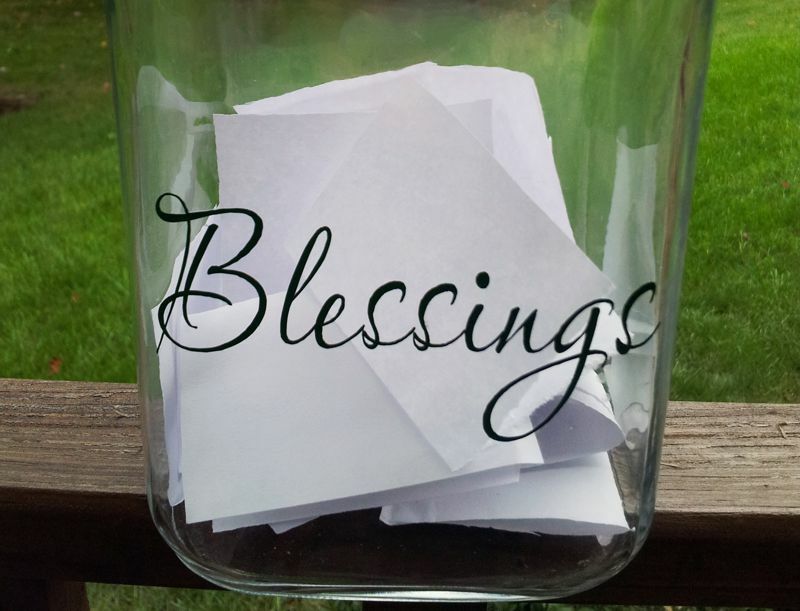 If you have a friend who is going through a tough trial, consider making a blessings jar. Concentrating on one’s blessings can help keep a person’s outlook positive, which does wonders for the soul. Clean jar with vinegar or alcohol. Remove the backing from the Blessings decal. Position decal on jar. Burnish with a simple credit card. Slowly remove top layer that looks like masking tape. That’s all there is to it! If you are planning on making several of these as gifts, we offer multiple copies at a discount rate. Please contact us. This entry was posted in DIY Projects, DIY Vinyl Decal Projects, Glass Decal Application, How to apply vinyl decals, How-to, Ideas, Vinyl Decal Ideas and tagged blessings, blessings jar, Christian, Christmas gift, craft, craft idea, crafts, decal jar, decals, DIY gift idea, DIY holiday gifts, diy jar, gift, gift ideas, jar, vinyl decal jar. Bookmark the permalink.